Christina P.C. Borba, PhD, MPH is Director of Research for the Department of Psychiatry at Boston Medical Center. 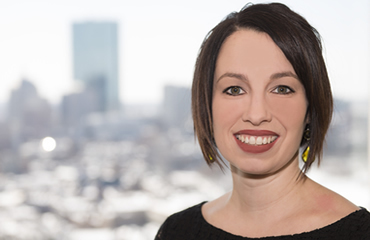 Until 2016, she was the Director of Research at the MGH Division of Global Psychiatry. She is an Assistant in Psychology (Psychiatry) at Harvard Medical School and an Assistant in Research at MGH. Dr. Borba is currently examining socio-cultural aspects of schizophrenia in Ethiopia with a goal of understanding why the disease prevalence ratio has been found to be 5:1 male to female (a statistic unlike any other in the world). She is also involved in ongoing efforts in Liberia to increase local research capacity with the University of Liberia, and to identify and conduct priority mental health-related research with in-country academic leaders. In her role as Director of Research in the Department of Psychiatry at Boston Medical Center and Boston University School of Medicine, Dr. Borba works to expand departmental research capacity through research education initiatives for residents and medical students, mentorship of junior faculty, new faculty recruitment and the expansion of research infrastructure capacity within the department. She supervises and provides research-related trainings for all research teams within the Department of Psychiatry. Dr. Borba has co-published several peer-reviewed articles and first authored two book chapters. She is the recipient of the New Clinical Drug Evaluation New Investigator Award from the National Institute of Mental Health. She received her doctorate in public health from Emory University and her master’s degree in public health from Boston University. She has lectured on qualitative methods and has taught masters-level courses at Emory on research methods and statistical analysis in the field of behavioral sciences. Prior to her doctorate, Dr. Borba managed the efforts of a cross-functional research team including research coordinators, student interns and fellows, while being responsible for the management of several clinical randomized control trials.